Direct Response Copywriting: Which Is More Important - Lower Ad Cost Or Better Conversion? Which Is More Important - Lower Ad Cost Or Better Conversion? 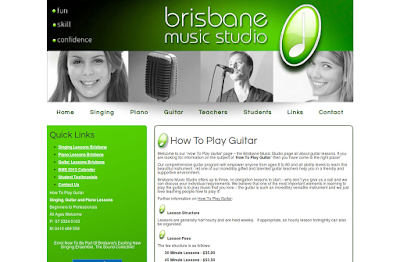 I am running an Adwords campaign for my music school guitarmusic.com and I have tried to improve my Quality Score and reduce my average cost per click by having a dynamic landing page built specifically for this campaign. We seem to have everything working and feeding the keyword through from the ad to the landing page (meta tags, page title, content etc) but for some reason it has made no difference whatsoever to our average QS or cost to first page bid. I'm looking for a genuine expert who can look at our landing page, log into our adwords acount and point out exactly what we are doing wrong. All the correct information is feeding through for each keyword, so I'm not after someone who can just set these up - I want someone who understands how to look at our campaign and landing page, then diagnose why our QS and costs have not changed when compared to our static landing page. The most expensive advertising in the world is the one that doesn't get you new customers--don't you agree? Looking at your site, I can tell that even if you can improve on your QS score and lower your advertising cost, conversion would still be a problem. Your landing page has been optimized for search engines, but not to win new customers. The website copy is not relevant to your target audience's needs. There's just a series of keywords put together that are not enticing enough. All of you are competing for almost the same market and the same keywords. How can you get attention? Your advantage lies not in page rank or website design, but on how well you can influence your audience that yours is the better brand. As you know, people do not want to learn how to play the guitar. Among others, they want enjoyment and the admiration that they will get from others--as they are playing their guitar. Your website copy is not giving enough motivation for the reader to sign up for lessons. If your website were a brick and mortar shop, your website copy reads like an indifferent sales clerk. They know that if they just stood there and give the right information, they are going to get paid anyway. Do you have youtube videos showing how easy it is to learn how to play a guitar? If so, put that video front and center of your landing page. What do your customers say about your guitar lessons? Share them on your landing page. Add more pictures of your customers having a great time learning.